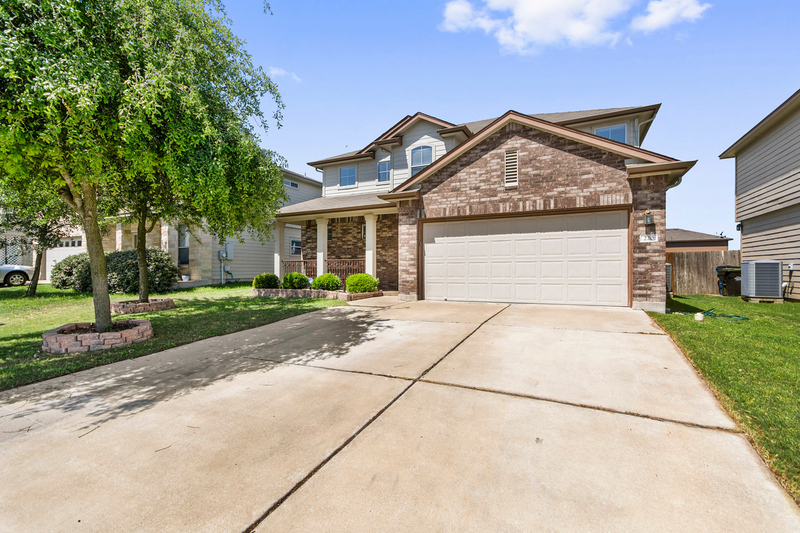 When you drive into Riverwalk you will immediately realize this is an exclusive neighborhood with unique, quality homes on spacious home sites ... the kind of neighborhood everyone dreams about. 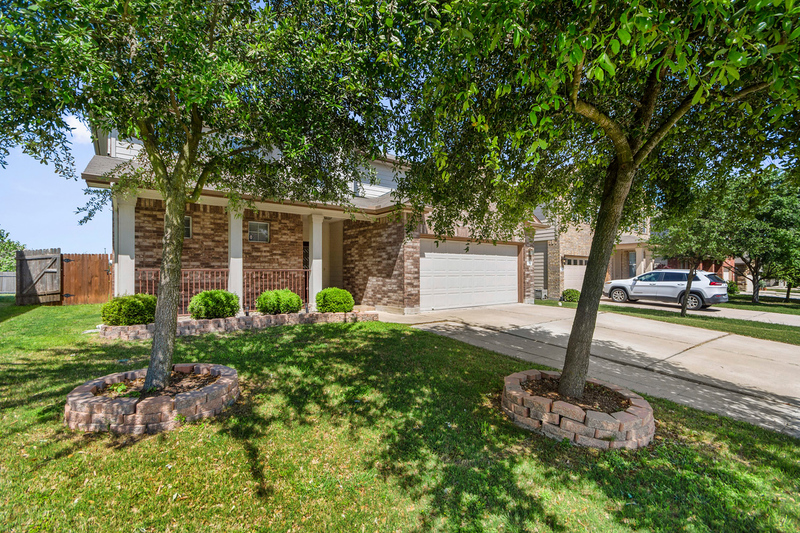 The big bonus is that Riverwalk is located in Hutto Schools! 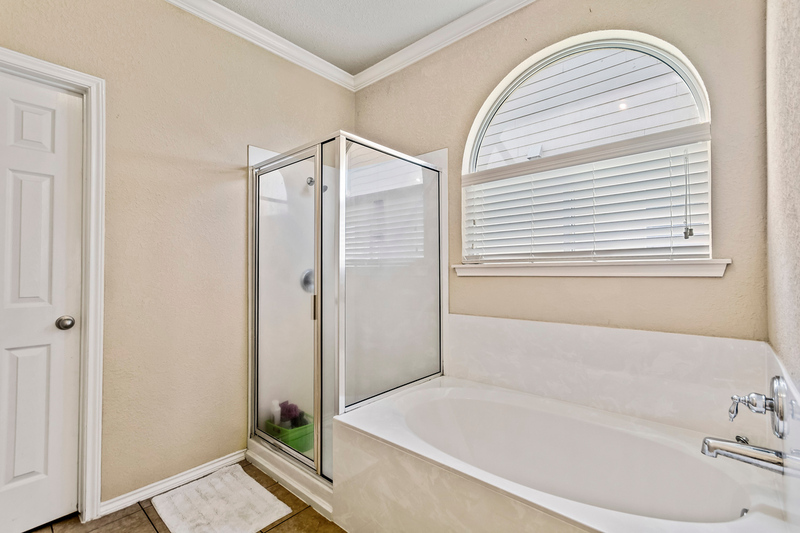 As you approach the home at 220 Baldwin Street you note that it is tucked on a quiet street in the lovely community of Riverwalk, where there are parks, pools and trails for you to enjoys. 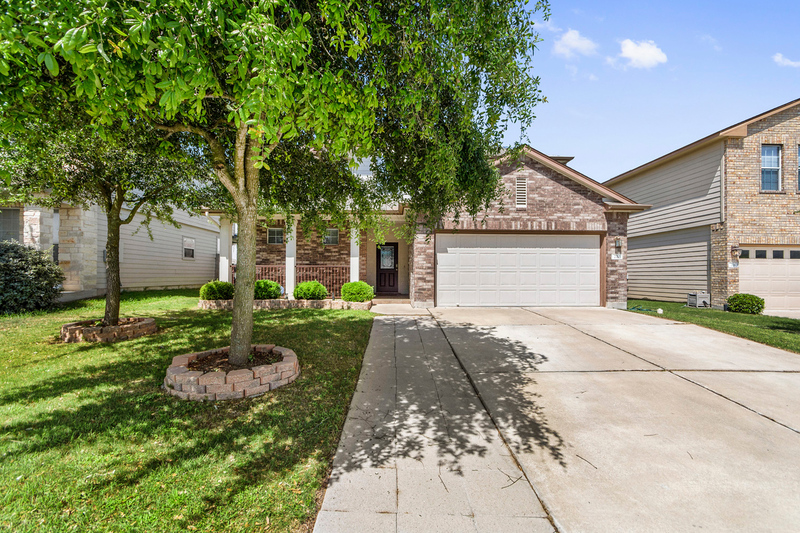 You notice that this home offers wonderful landscape, trees and a lovely yard. The location means little traffic. 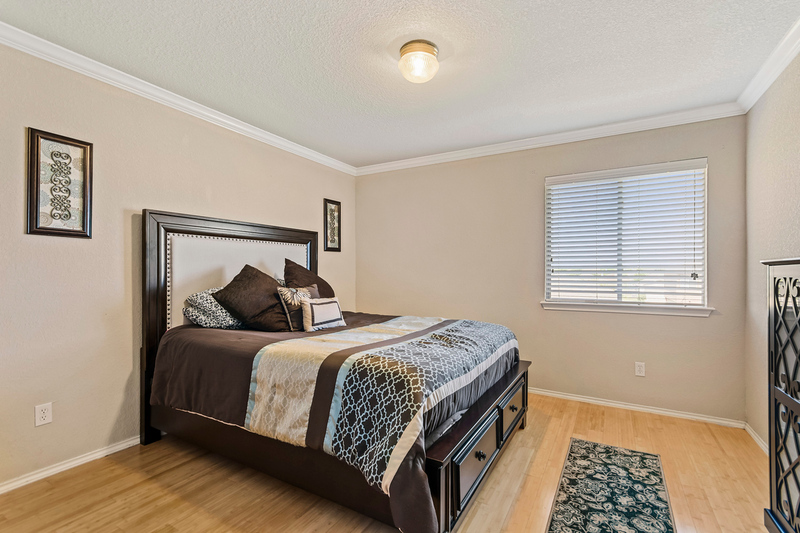 The first thing you will want to talk about is that kitchen at 220 Baldwin Street ... You know this is where everyone will gather, and its perfect for that! 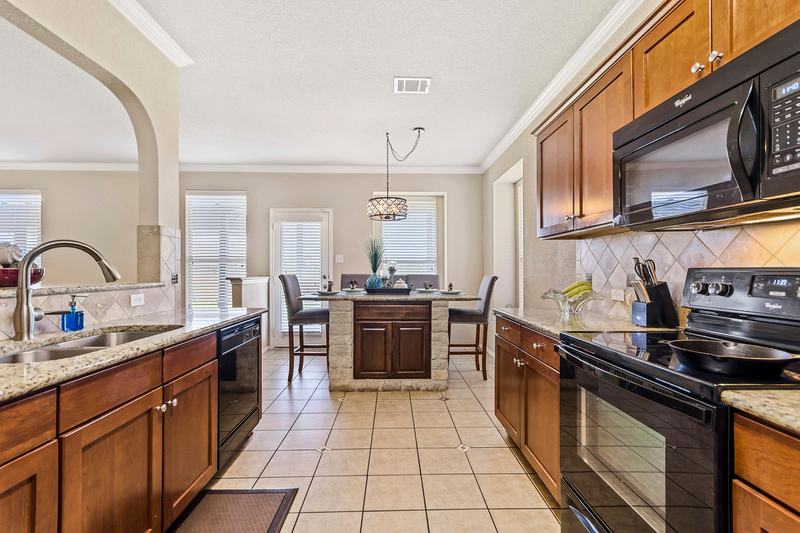 The kitchen offers open, bright, cheerful space. 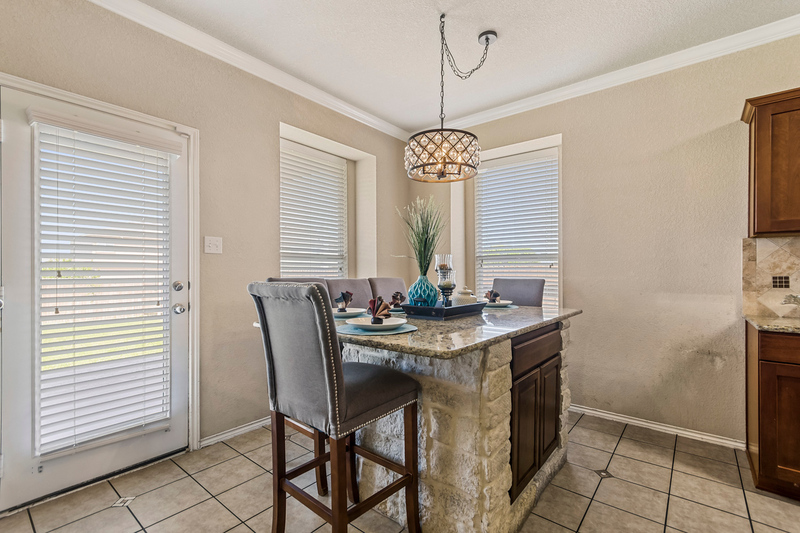 The breakfast bar is great for the kids or guests to hang out. 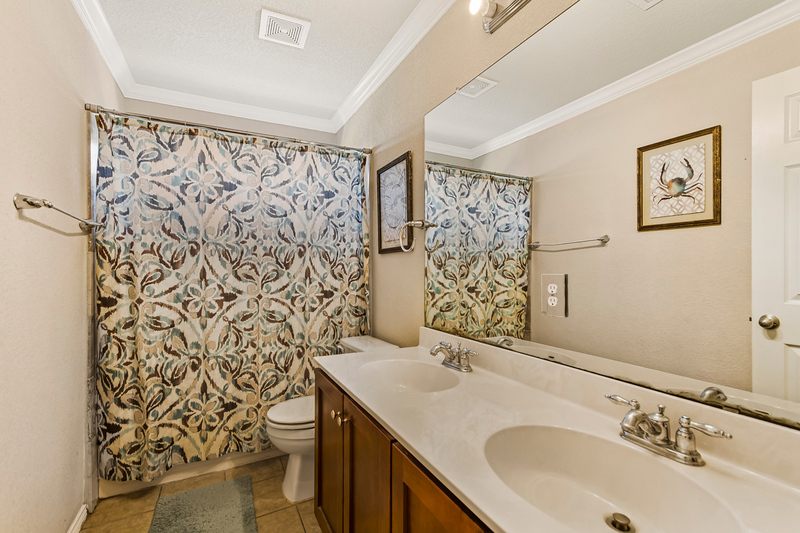 The extensive cabinetry offers abundant storage space. 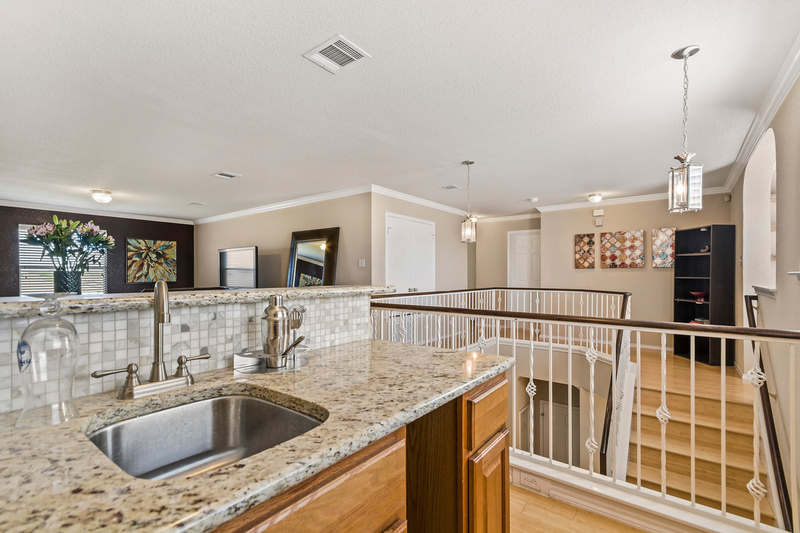 Note the tasteful granite counters and back-splash. The breakfast room is adjacent to the kitchen and and has that unique, custom breakfast table with granite top. 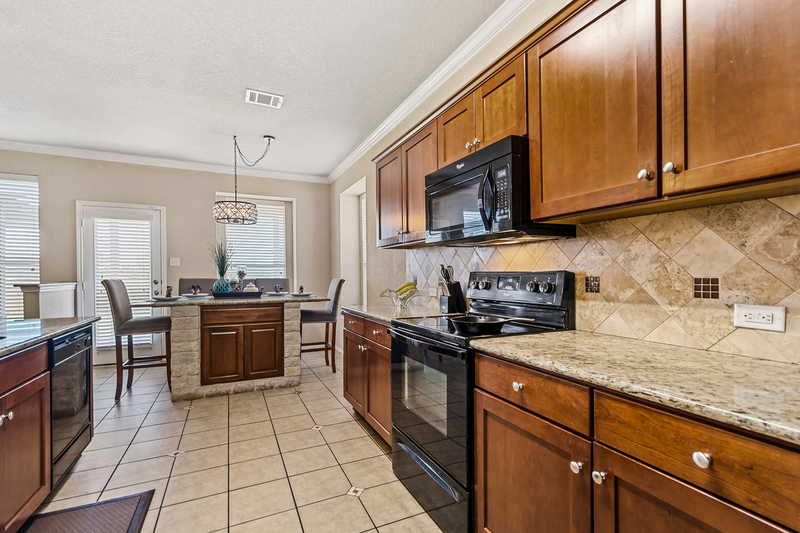 Even the kitchen has luxurious touches like Crown molding. 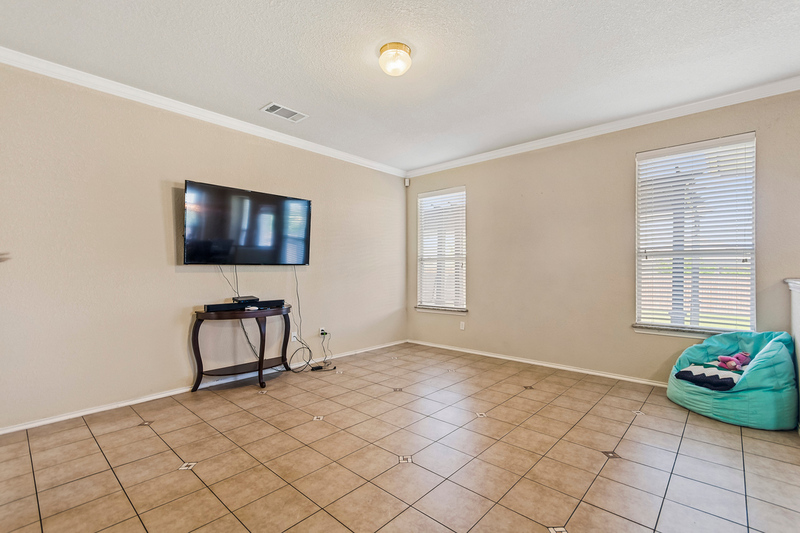 The incredible family room at 220 Baldwin Street has tile floors for easy maintenance and those windows bring in lots of light and allow you to gaze across the patio and yard while the kids play. 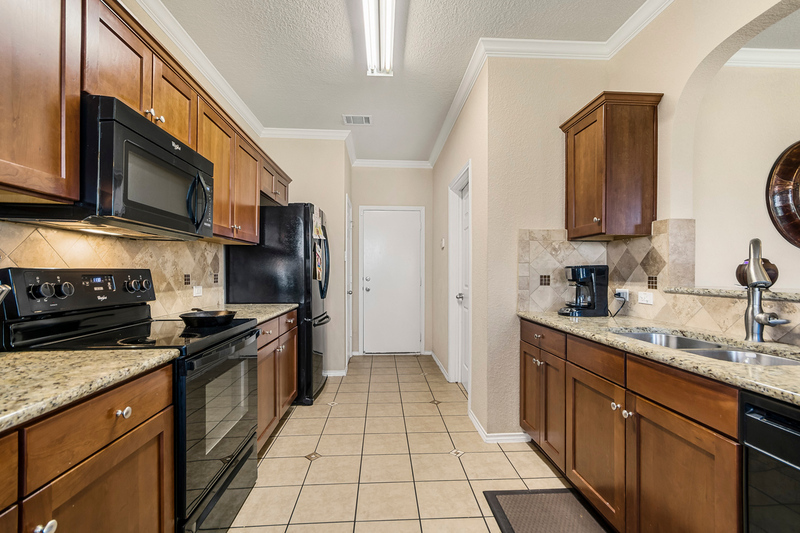 It is also completely open to the kitchen so that everyone can be together before, during and after meals. 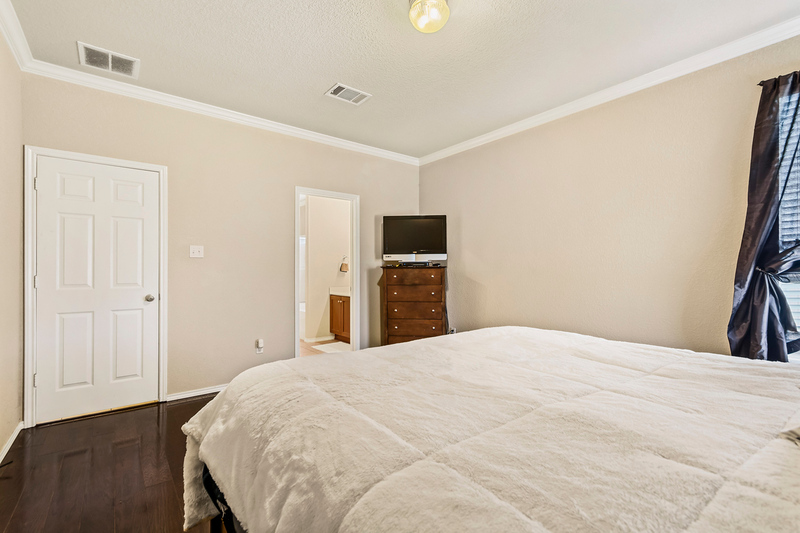 The master suite at 220 Baldwin Street in Hutto, TX is located on the first floor, and it is large and private. 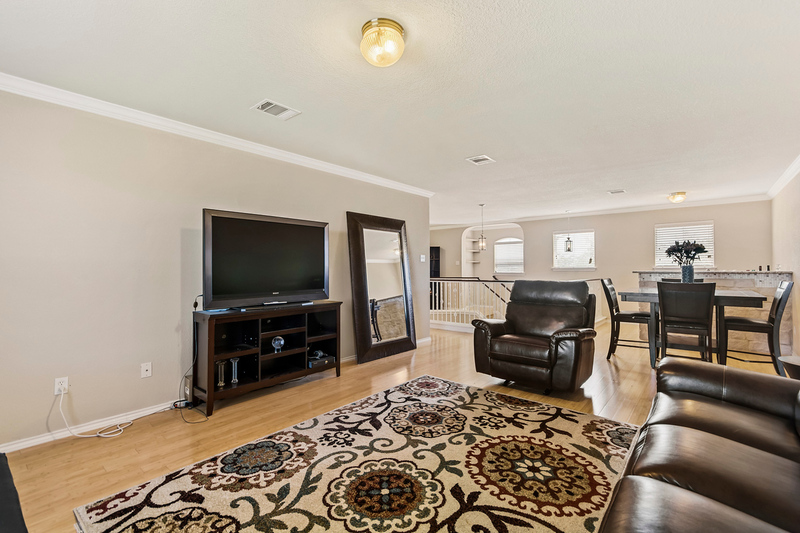 The wood floors and crown molding add luxury. 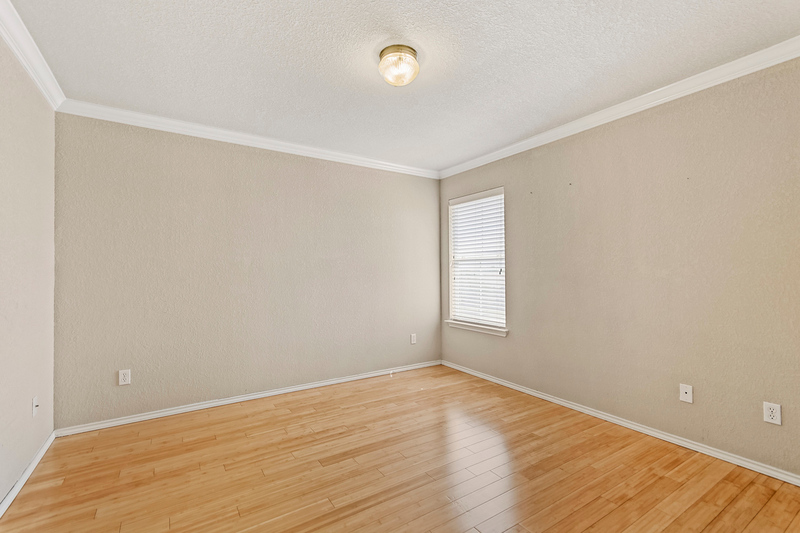 There is enough extra space that you may want to add chairs and a reading lamp, or a TV. 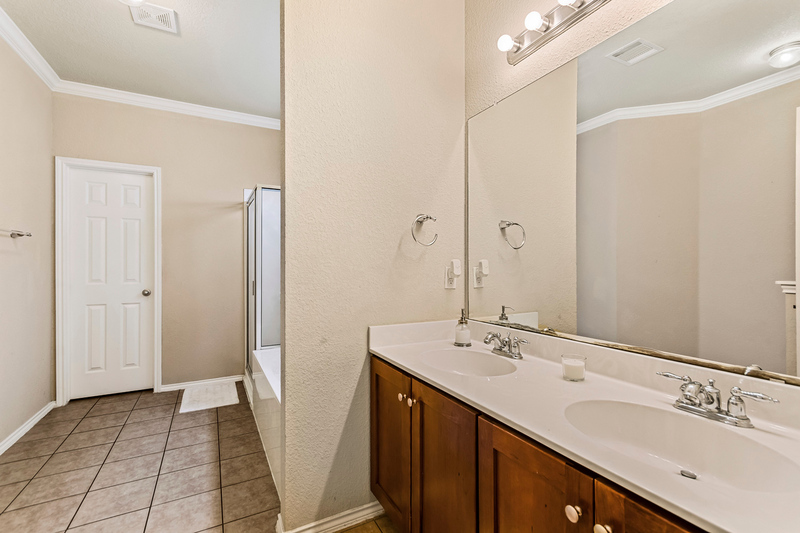 The master bath is huge, it has a double vanity, separate shower, over-sized tub, and there is an enormous walk-in closet too! 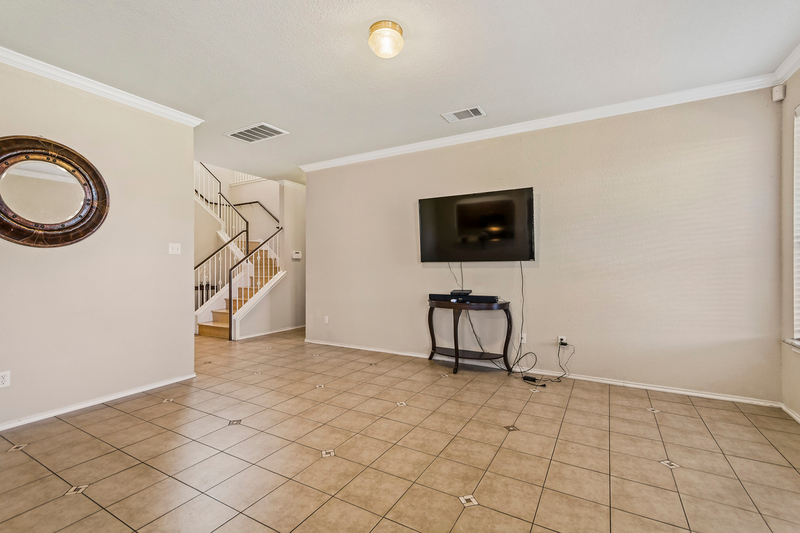 There are 3 secondary bedrooms and a very spacious full bath located upstairs. 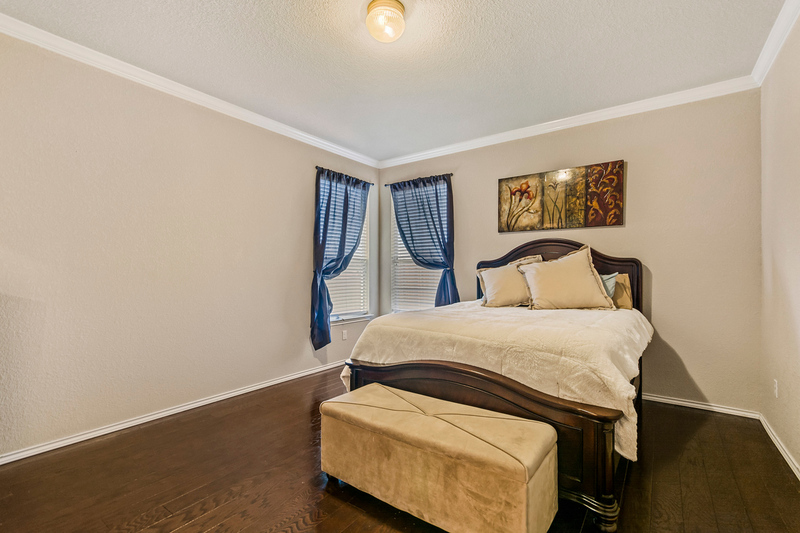 Each has a spacious closet, those gorgeous floors and crown molding. 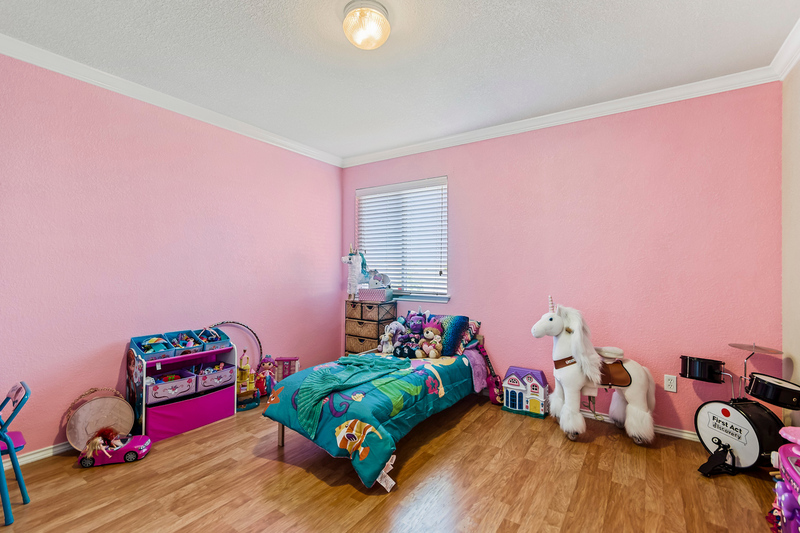 The Game Room at 220 Baldwin Street is located upstairs and makes a great TV room or a great place the kids to play video games. 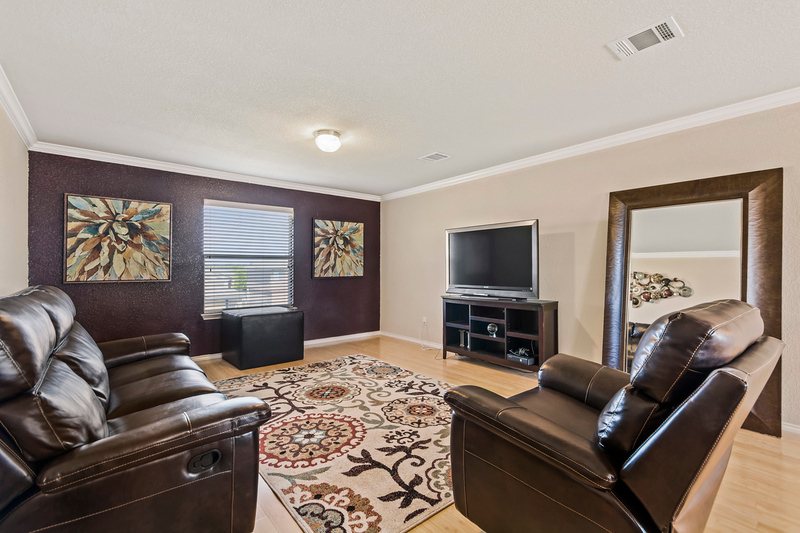 It is also perfect to hang a big screen for football games! If you home school, this is the perfect spot for that too! It is plenty big for a pool table if that is what you have always wanted! 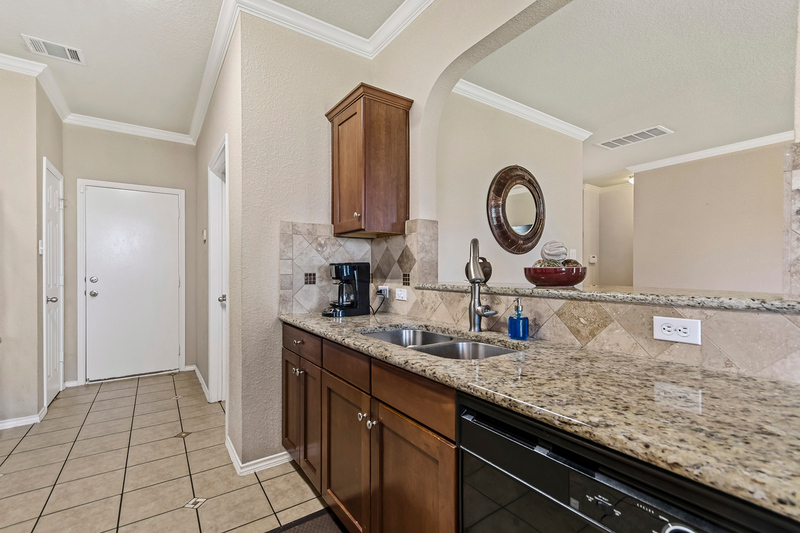 And of course that wet bar is already built in for you! 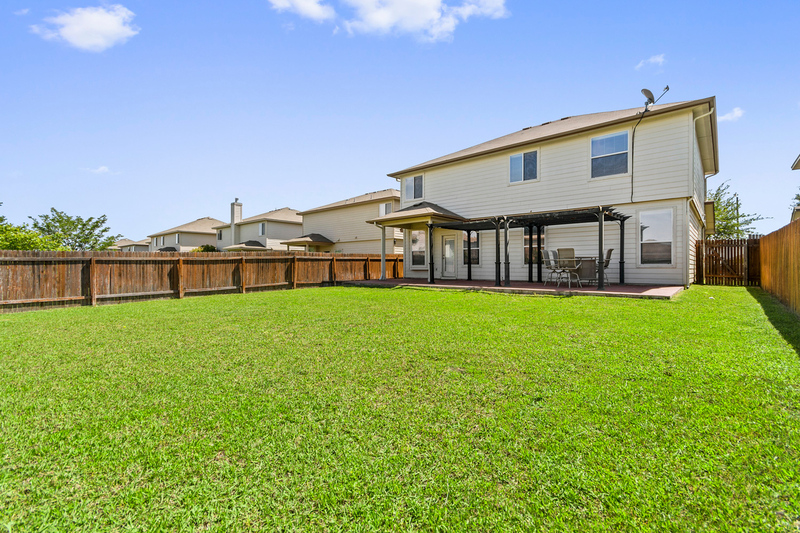 Now, let's see the yard and patio at 220 Baldwin Street in Hutto, TX... 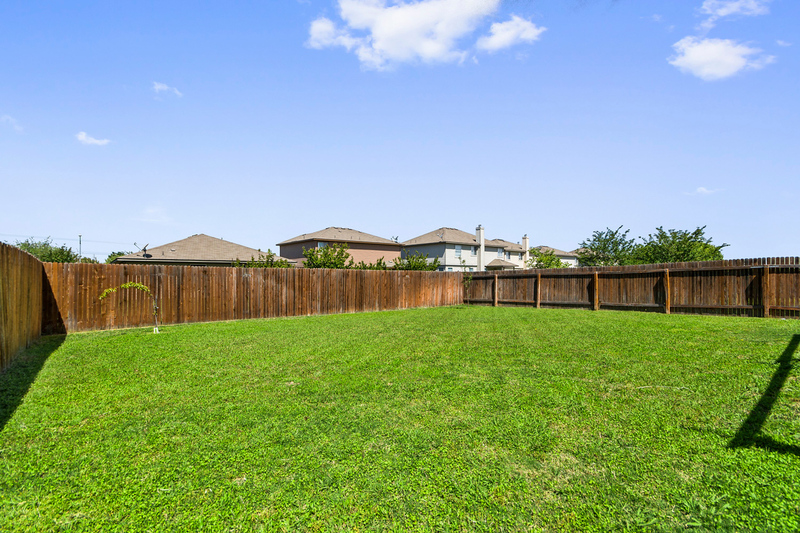 The over-sized yard is begging for a pool, playscape, trampoline, or ALL of the above. 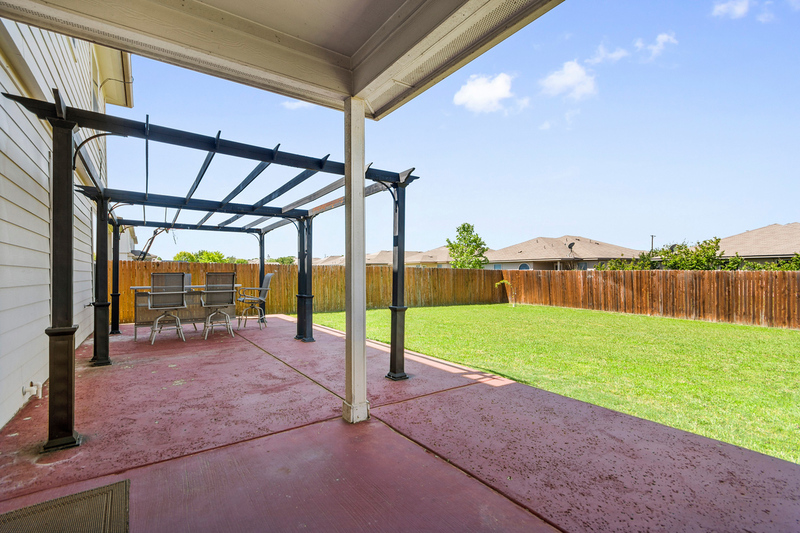 It is completely fenced and in addition to the covered patio, it has an extended patio... this a great place to entertain guests or have family BBQ's. 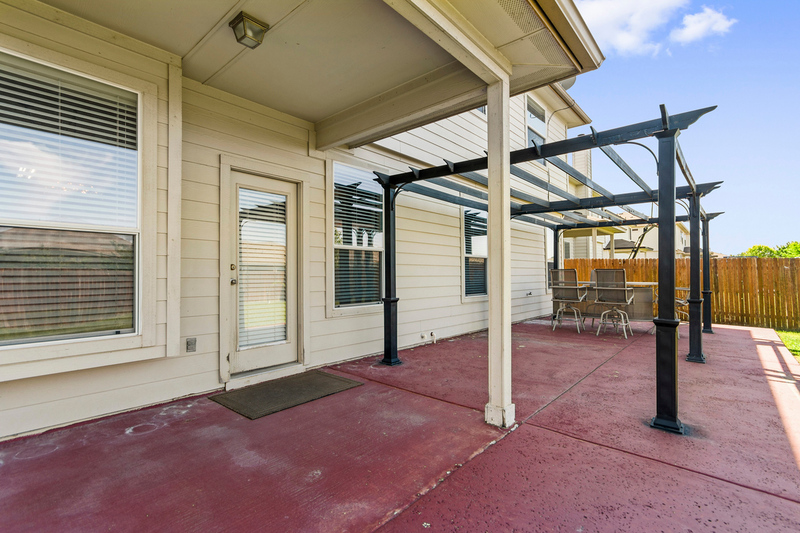 Finally, you just cannot beat the location... Riverwalk is a Community located just minutes from SH 130, Hwy 45, for an easy drive to the downtown Austin, or anywhere you need to be! 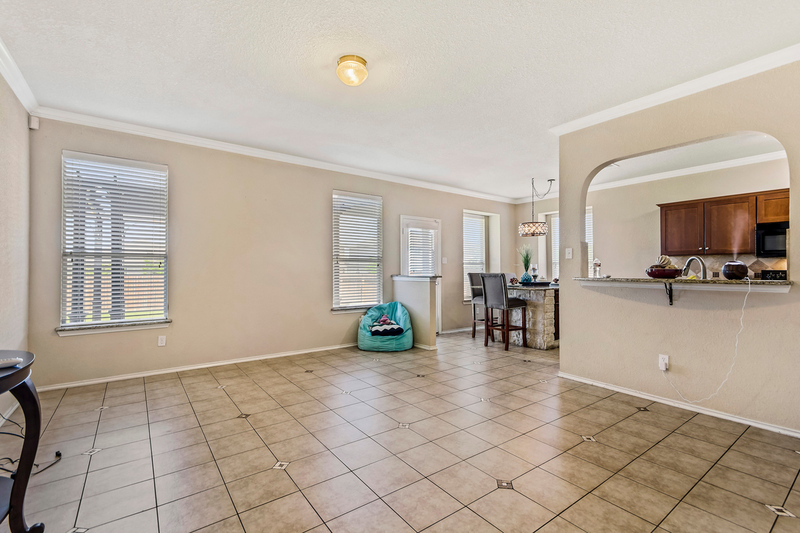 The home for sale at 220 Baldwin Street is in Hutto, TX in Riverwalk and is priced currently at $275,000 ... if you would like to know more right now, just contact me.